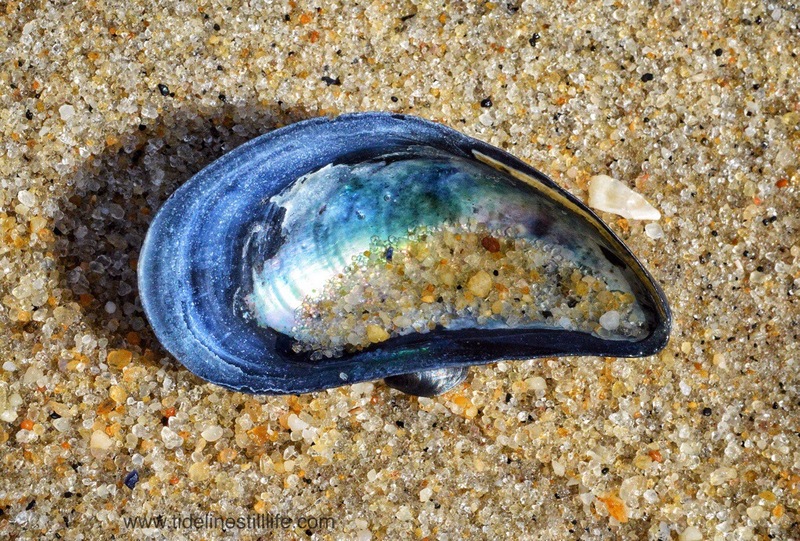 There is something about the humble mussel shell that captivates me. 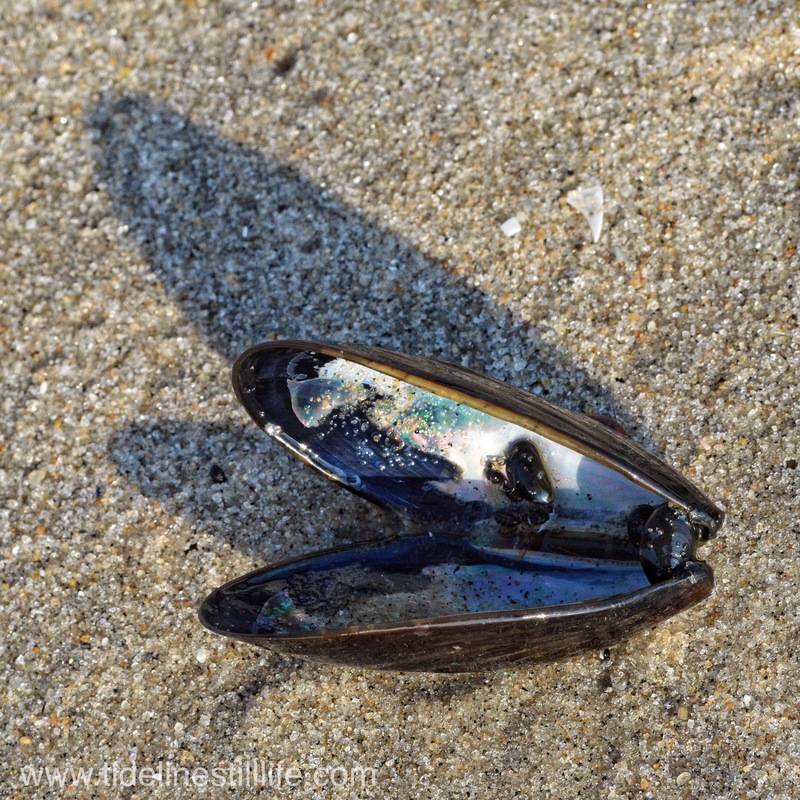 Those who have followed Tide Line Still Life for a while know that I frequently post photos that include mussels. They are ordinary, in (over) abundance, dull in color, and unremarkable in form. This simple, unremarkable shell, though, often clusters in fascinating arrangements. And in the early morning sun they sometimes reveal the most remarkable interiors. All is not what it appears to be on the outside; there is a hidden beauty within.